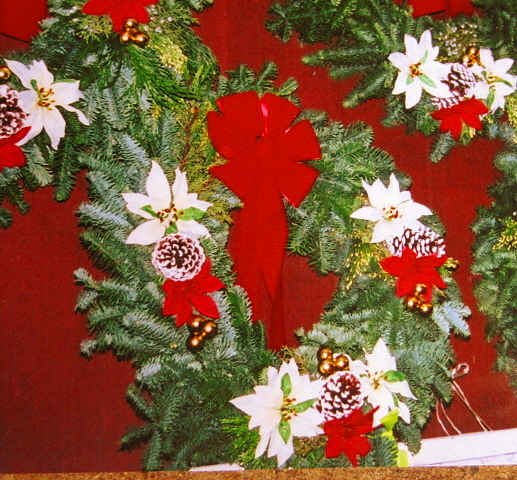 Kula Botanical Garden is one of the largest grower of Christmas trees in the state of Hawaii. Each year, the McCords plant, prune, and harvest a new crop of fragrant Monterey Pine Christmas Trees. 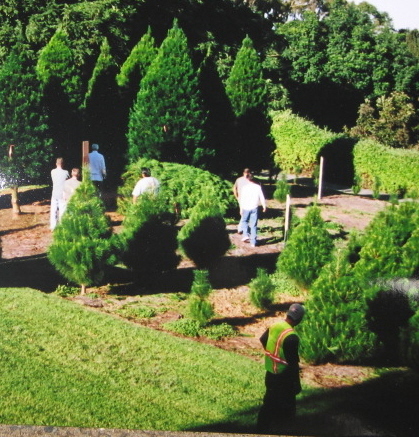 Our trees are available in sizes ranging from 3feet to 18 feet high. 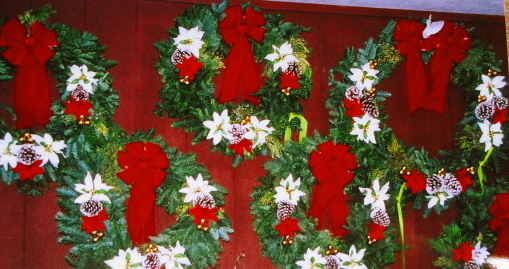 We also have wreaths, centerpieces, and cut-greens available during the holiday season. Our pines are available to the public during our annual tree-sale during the months of November and December. Our staff will help clean and load the tree onto your vehicle during the sale. Come visit us this year ! For our customers that cannot join us during the weekend sales, trees are also available at the Gift Shop for a limited time in December, although quantity, size and selection are not as plentiful as during our sale. Please call ahead if you plan to purchase your tree at the Gift Shop. Every year, we also provide over-sized trees to local businesses and hotels. If you are interested in ordering an extra-large tree, please call us in the fall for pricing and to pre-order your tree. Fire-retardant and Artificial Coloring (recommended for outdoor displays) available at an additional cost. We are no longer able to accept off-island orders or provide delivery services for our Christmas trees.